Try to collect as many balloons as you can. Use the arrow keys to move and space or up arrow to jump. Be careful when you jump with all of those balloons, they have a surprising amount of helium in them, you may float away. Use the weight to help keep you grounded. 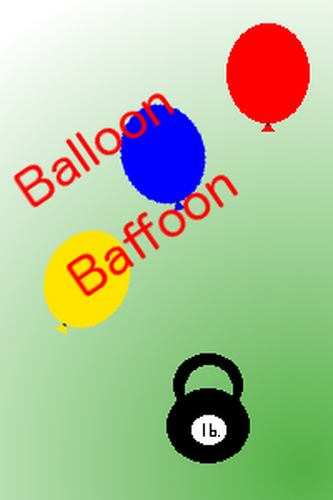 Be warned, you are unable to drop weights and if you can not move or collect more balloons then your journey has come to an end. The build should be correct. Download the correct version for your OS and you should be good to go. Let me know if I did it incorrectly.